INDIA . . Sunset Fishermen . . . Fishing boats are out from high tide to high tide in this village cove on the Indian Ocean. 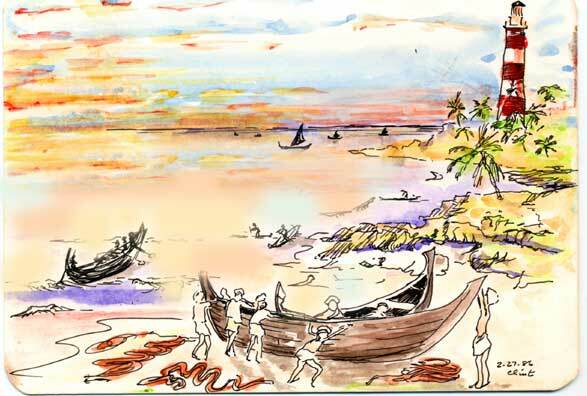 Teams of 50 men and women pull the boats onto the sand with ropes, clean and market the fish, tend the nets.